This is just another reason why I love Clinique, they support the one cause that is so dear to my heart. 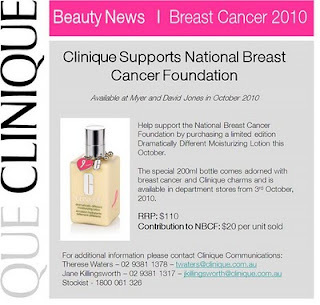 It is going to be available in October (which is the Breast Cancer Awareness month) at both Myer and David Jones counters. Don't you think the charms are just too cute?